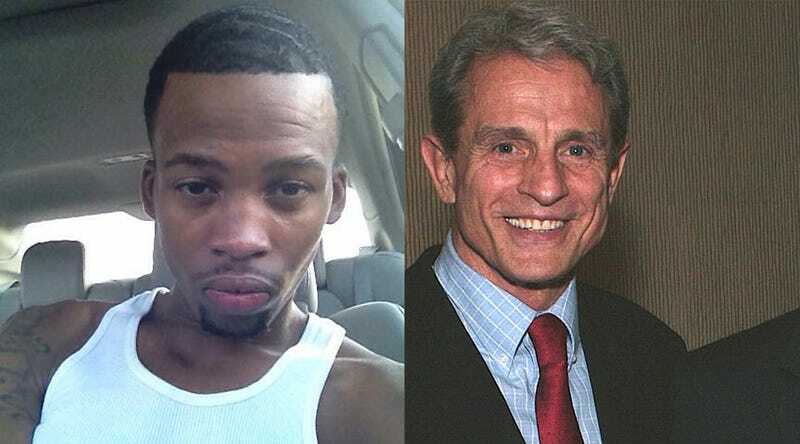 On July 27, 2017, 26-year-old Gemmel Moore was found in the bathroom of a West Hollywood, Calif., apartment belonging to Ed Buck, 62. Moore was young, black and poor. Buck was white, wealthy and powerful. But only after injecting them with drugs. West Hollywood is known as the “symbolic heart” of LGBTQ Los Angeles. During the 1930s, gay men and women gathered in bars in the then-unincorporated part of the city to skirt federal and state Prohibition laws. In 1967, two years before New York City’s Greenwich Village Stonewall riots put the fight for gay and lesbian rights on the map, a protest organized by the Personal Rights in Defense and Education organization kick-started the West Coast movement in West Hollywood. Since then, the West Hollywood area has been incorporated as a city and is known nationwide as a home for a thriving, affluent gay population. The city is a liberal enclave and has recently rebranded itself as WeHo. Buck was born in 1954 and came out to his parents at the age of 16, according to WeHoville. In the 1980s, after living and traveling as a male model and actor, Buck began working in Arizona for a company that provided information for driver’s licenses. According to WeHoville, in a 1987 interview with the Arizona Republic, Buck said that he saw so much potential in the struggling company that he bought it out of bankruptcy for $250,000. Five years later, he sold the company for more than $1 million profit. In 1987 Buck, described by the Arizona Republic in the same article as a “millionaire, self-acknowledged homosexual and registered Republican,” launched himself into politics by leading an effort to impeach Arizona Gov. Evan Mecham. Even though Buck’s campaign led to the successful impeachment of the governor, Buck left the Republican Party because of its intolerant stance on LGBTQ issues. According to the profile in WeHoville, after arrests on narcotics and public indecency charges, Buck eventually left Arizona and moved to West Hollywood. It was in West Hollywood that Buck became a major political backer. He helped Democrat John D’Amico win a seat on the West Hollywood City Council and pushed for the nation’s first ban on the sale of fur products. Although donations to political action committees don’t have to be disclosed, Buck gave $2,700—the maximum amount possible—to the Hillary Clinton campaign, and online sources show he has donated more than $250 million to Democratic candidates. A quick Google Images search turns up pictures of Buck with some of the most powerful Democratic politicians in the country, including Clinton and California Gov. Jerry Brown. In 2017, Gemmel Moore relocated from Texas and moved to West Hollywood. Numerous friends of Moore confirmed his struggles with drugs, which, many say, were fueled by the fetishes of one of his most frequent clients—Ed Buck. Lloyd said that Moore went to West Hollywood police a number of times to warn them about Buck to no avail. Lloyd’s allegations seem to be backed up by other men who provided photographic evidence of Buck’s drug use with male escorts. Damar Love provided the WeHo Times with photographs of himself inside Buck’s home. According to the Times, the pictures appeared to have been taken at the same apartment where Moore’s body was found and show Love sitting next to a glass pipe often used to smoke crystal meth. So I go there [West Hollywood Sheriff’s Station] and I basically let them know I’m coming from an older friend’s house—at the time I didn’t want to speak his name. But I did initially say that I feel like I was drugged. And because I was talking rapidly and constantly looking around tryin’ to watch my back to see if someone was approaching me the only thing they would say is, “You’re tweaking. You’re under the influence and if you don’t get away from here I’m going to take you to jail for being under the influence.” They didn’t care to ask who it was or where did it happen, and I said, “Well just let me write a statement down; you guys can give me a number for that I can use if I need to come back it’d be available.” He said, “OK.” He gave me a paper. I wrote it down. Sat there for about 10 minutes and because I was still rambling about the situation they did not want me standing in the front lobby of the department; they told me to leave. Another alleged client who only goes by the name of “Brian” provided screenshots from the website Adam4Adam of conversations with Buck arranging an encounter. Yet another man named “Blake” has provided screenshots to Jasmyne Cannick from a man using the name “Bucked,” purported to be Ed Buck. Blake provided screenshots and photos from inside an apartment that appears to resemble Buck’s home. Buck’s neighbors and associates have allegedly fallen prey to the bullying and erratic behavior of the wealthy donor. In a 2002 petition for a restraining order, therapist James E. d’Jarnette told a court that Buck harassed him for days after d’Jarnette informed the wealthy donor that he wouldn’t prescribe amphetamines, the WeHo Times reports. Former Councilman Steve Martin said that people in the West Hollywood community often complained about Buck’s temperament. “If there was ever anybody in West Hollywood whose bed you expected a dead body to turn up in, it was Ed Buck,” Martin told the WeHo Times. Perhaps the most damning evidence comes from a journal that Moore’s mother says belonged to Gemmel Moore discussing his fear of Buck. When police arrived at Buck’s home to investigate the death, they found drug paraphernalia, according to the Los Angeles coroner’s office. Video also shows another young black man looking for Buck showing up at Buck’s home and being turned away by police taping off the scene. Despite this abundance of evidence and more, including cellphone records, West Hollywood authorities have not charged Buck with a crime and have indicated that Buck is not a suspect. Moore’s family have asked the investigators to grant immunity to witnesses who come forward, but the Los Angeles Sheriff’s Department said that it cannot grant immunity—only prosecutors can. In addition to the launch of Justice 4 Gemmel, Moore’s mother has enlisted the help of human rights advocate and attorney Nana Gyamfi. Meanwhile, 26-year-old Gemmel Moore is still dead. Editor’s note: A previous version of this article misspelled the name of LaTisha Nixon and listed the wrong year of death for Gemmel Moore and an incorrect date for his vigil. The Root regrets these errors.